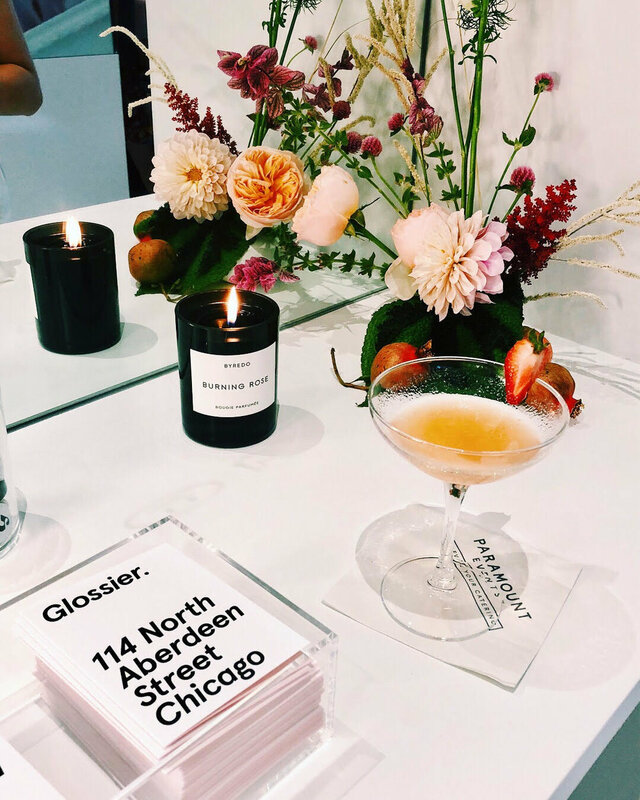 Aug 23 Welcome, Glossier Chicago! If you’ve seen the New York or Los Angeles stores, you know the brand aims to create an environment that reflects the city they’re in. New York is sterile and posh, like the brand itself. LA is lush and pink, fit for perfect Instagram photos that are inspired by beauty and nature. Chicago, however, is its own breed. The pop-up shop leans more toward the New York showroom with stark white walls and accent details throughout. The Chicago shop was inspired by the city’s love of art. Products are showcased on pedestals similar to what you’d find in an art gallery. There’s a beautiful wall of natural portraits when you enter the shop, and fun features throughout. Test the knobs on the walls to find secret shadow boxes. Notice the balm.com boxes hidden in a pane of glass. Then, head to the back of the shop for some selfies in the museum mirrors. Instagram bonus: there’s not one, but TWO “You Look Good” Mirrors. Every product of your dreams is in stock at the shop, so if you’ve been dying to try something, not only can you bring it home with you that day, but you can test any of the products in the store. And be sure to chat with the showroom editors. They’ll be wearing their signature pink jumpsuits and ready to speak on their favorite products and beauty hacks. 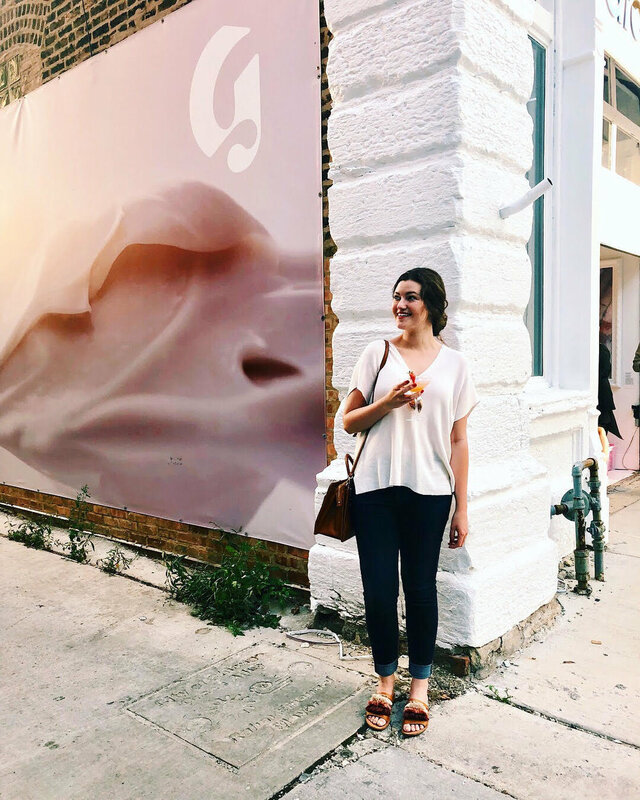 For a perfect photo opp, don’t forget to walk around the side of the building for a great Glossier banner. Can't make it to the showroom? Shop with me for a discount.